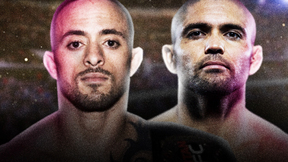 It’s the biggest night the heavyweight division has ever seen, as four of mixed martial arts’ best take to the Octagon. 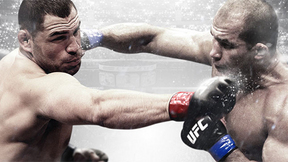 In the UFC 146 main event, heavyweight champion Junior dos Santos defends his crown against Frank Mir who is looking to make history by becoming only the second man to win the title three times. 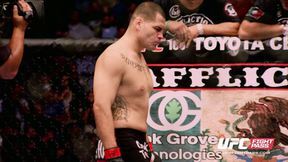 But that’s not all, as former champion Cain Velasquez hits the comeback trail in a pivotal matchup with Brazilian star Antonio 'Bigfoot' Silva. Junior Dos Santos vs. Frank Mir UFC 146 Sat, May 26, 2012 (26:56) The UFC heavyweight belt was on the line at UFC 146 when Brazil's Junior Dos Santos aimed to defend his heavyweight gold against former UFC champ Frank Mir. In this expert striker vs. BJJ black belt match-up, few imagined this one going the distance. 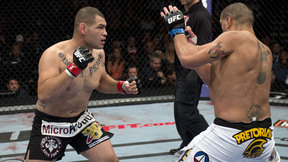 Cain Velasquez vs. Antonio Silva UFC 146 Sun, May 26, 2013 (17:27) Former UFC Heavyweight Champion Cain Velasquez was looking reestablish himself at the top of the heavyweight division, and giant Brazilian Antonio "Bigfoot" Silva was the only thing standing in his way. 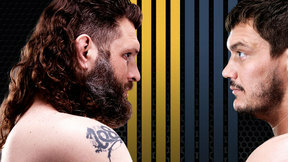 Roy Nelson vs. Dave Herman UFC 146 Sat, May 26, 2012 (10:44) In his 21 pro victories, Dave Herman has only let an opponent hear the final bell once, and though he comes from a Division I wrestling background, it’s his fists that have done the talking over the years. 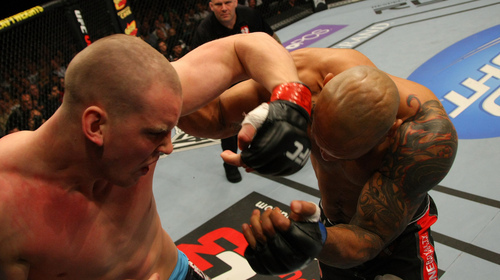 When it comes to heart and determination, few can compare to heavyweight contender Roy Nelson. Having gone the distance with Junior dos Santos, Frank Mir, and Fabricio Werdum, the Las Vegan epitomizes toughness, but he will have to show off the full-range of his MMA skill set to beat Dave Herman. Stipe Miocic vs. Shane del Rosario UFC 146 Sat, May 26, 2012 (19:23) A ferocious finisher, Shane del Rosario wanted to take the zero from the loss column of Stipe Miocic, and he was willing to do it by submission or knockout. 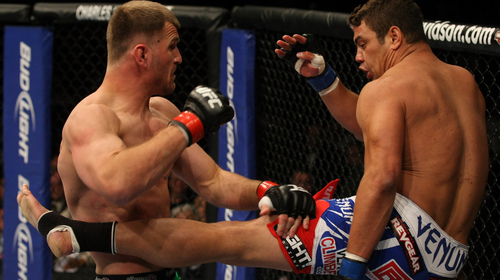 Undefeated in eight pro fights, Stipe Miocic had impressed fight fans around the world, coming out with wins over Joey Beltran and Phil DeFries in his first two Octagon appearances. 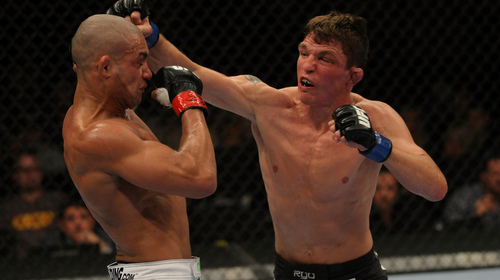 Darren Elkins vs. Diego Brandao UFC 146 Sat, May 26, 2012 (25:34) TUF champ Diego Brandao met seasoned wrestler Darren Elkins in the UFC 146 prelims. Jamie Varner vs Edson Barboza UFC 146 Sat, May 26, 2012 (13:32) Edson Barboza put Terry Etim down and out with a single head kick, and that type of spectacular effort was par for the course with the dynamic Brazilian, who had won three consecutive Fight of the Night awards and one Knockout of the Night bonus. However, his opponent, former WEC champion Jamie Varner, was no slouch when it came to post-fight awards, as his classic battles with Donald Cerrone earned him bonus checks and recognition as one of the top 155-pounders in the world. CB Dollaway vs. Jason Miller UFC 146 Sat, May 26, 2012 (26:19) Jason “Mayhem” Miller’s latest goal in a nearly 11 year career is to conquer the UFC, and with a rock-solid ground game and experience few can match, his chances are good. 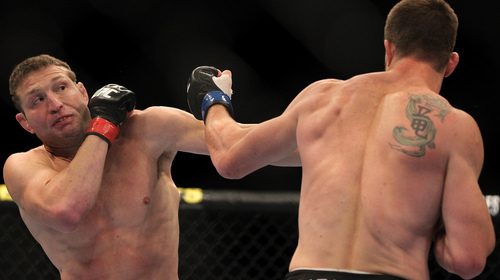 Dollaway hit a rough patch in 2011, but given his wrestling background, top notch training camp, and warrior’s heart, “The Doberman” is primed to bite back. Dan Hardy vs. Duane Ludwig UFC 146 Sat, May 26, 2012 (12:35) Well rounded Dan Hardy takes on UFC's fastest KO record-holder Duane Ludwig. Paul Sass vs. Jacob Volkmann UFC 146 Sat, May 26, 2012 (10:33) Jacob Volkmann may not be flashy, but he knows how to win. 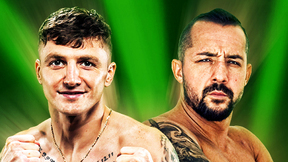 Unbeaten in a five fight run at 155 pounds, he takes on Paul Sass, a master of the triangle choke who is intent on being the one to break Volkmann’s streak. Glover Teixeira vs. Kyle Kingsbury UFC 146 Sat, May 26, 2012 (7:09) Making his UFC debut in the light heavyweight division, Brazil's Glover Teixeira squared off against none other than Kyle Kingsbury, the Ultimate Fighter veteran fighting out of San Jose. Mike Brown vs. Daniel Pineda UFC 146 Sat, May 26, 2012 (24:45) Daniel Pineda took no time getting acclimated to life in the big leagues, scoring first round submission wins that extended his current winning streak to seven. Former WEC featherweight champion Mike Brown is using his first UFC victory over Nam Phan last August as the catalyst for a winning streak of his own as he chases after gold in a wide-open 145-pound title race.